The Venecia Water Supply Project is a collaboration between EWB Vermont Professionals and CII-ASDENIC, an NGO based in Esteli, Nicaragua. Venecia is coffee farming community in Northern Nicaragua with a population of just under 700 people. The community, established in 1984, has a single water source that feeds into a central distribution system. The water infrastructure is in decent condition, however, they are still suffering from water shortages and water quality issues. EWB-VT will continue to work with the community leaders and CII-ASDENIC to develop and implement appropriate solutions for these problems. 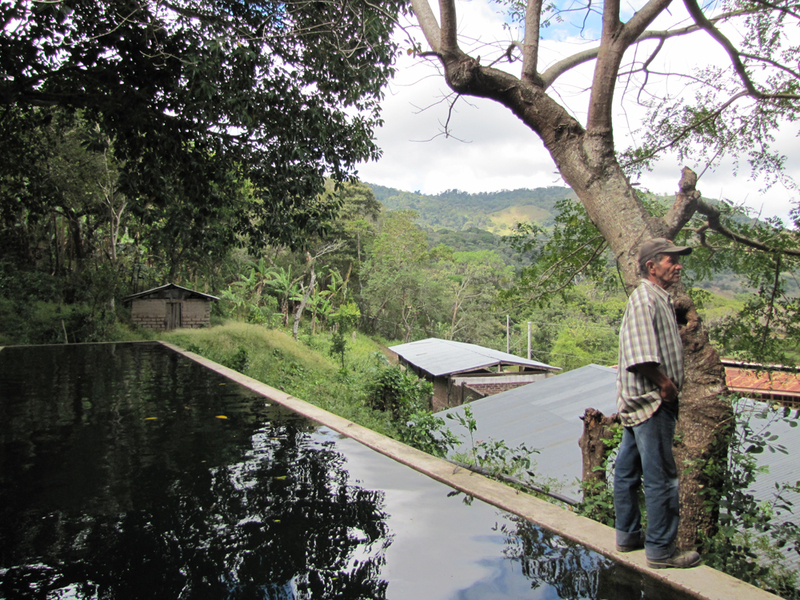 The project team’s first assessment trip in Nicaragua was in November 2013. This trip focused on meeting and building relationships with our partner NGO, CII-ASDENIC and the Venecia community water board. The team walked the existing distribution system to gathered information about it. Additionally, the community’s water was tested for E. Coli, coli forms, and inorganics. The pH, alkalinity, and temperature of the water were also recorded to determine how the water would respond to treatment. This trip identified water quality as the biggest issue with Venecia’s water supply, as the water tested positive for both E. Coli and coliforms. Additionally, there are issues with water quantity due to problems with the transmission and distribution systems. In May 2014, the team took its second trip to Nicaragua. The goal of this trip was to perform topographic survey to evaluate solutions to the transmission and distribution system problems. The transmission system’s problem is due to a topographical high point that permits only two of three developed water sources to reach the community. The distribution system’s problem is due to negative pressures and cultural practices of leaving taps on. The project team and CII-ASDENIC prioritized these problems and determined that disinfection was the number one priority. There is no sense in providing Veneciawith more water if that water is not safe for consumption. The second priority is the distribution system, since more water from a third source will not solve Venecia’s water quantity problem while negative pressures exist in the system and community members leave their taps on. The final priority will be to eliminate the high point in the transmission system and connect the community will all three springs of water. This will provide water security for the future of the community. As we enter 2017, the goal will be to assess the efficiency of the water distribution system in Venecia. This will include the installation of flow meters throughout the community to track access and use of water to identify deficiencies. This will be the focus of a project monitoring trip expected to take place later in the year.